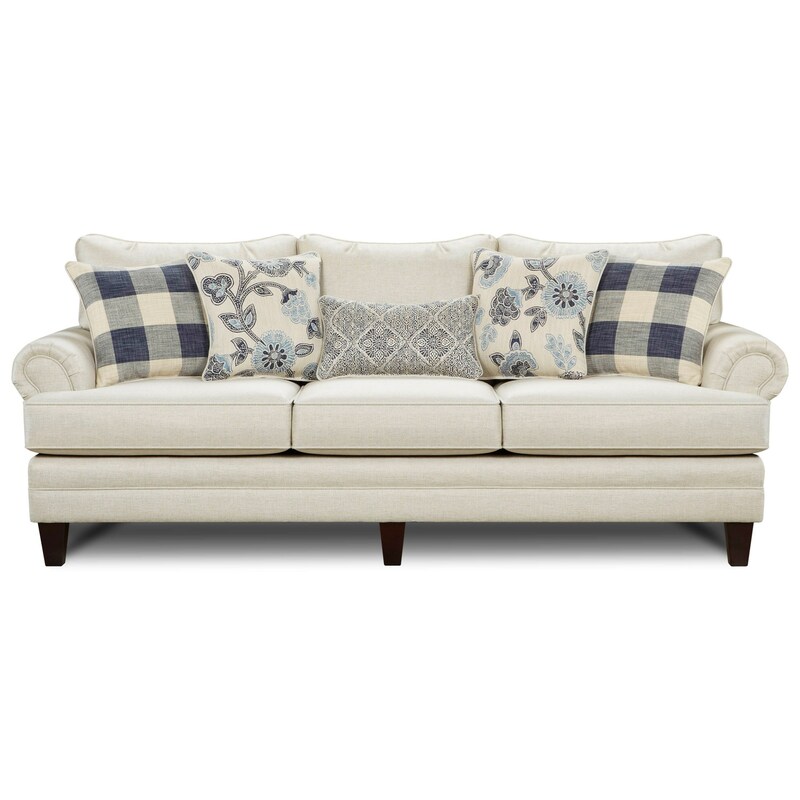 Enjoy relaxed, classic style with this sofa in your living room. It offers a beautiful design with rolled arms and tapered and exposed wood feet. 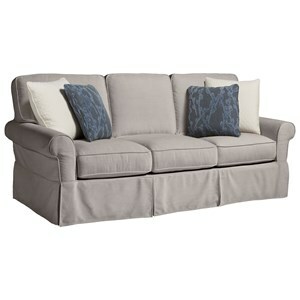 Comfortable and reversible seat cushions and loose back cushions, along with two sets of square accent pillows and a kidney accent pillow, complete the sofa. The 2810 Transitional Sofa with Tapered Legs by Fusion Furniture at Reeds Furniture in the Los Angeles, Thousand Oaks, Simi Valley, Agoura Hills, Woodland Hills, California area. Product availability may vary. Contact us for the most current availability on this product.